There were two important reports on the U.S. economy released this morning. 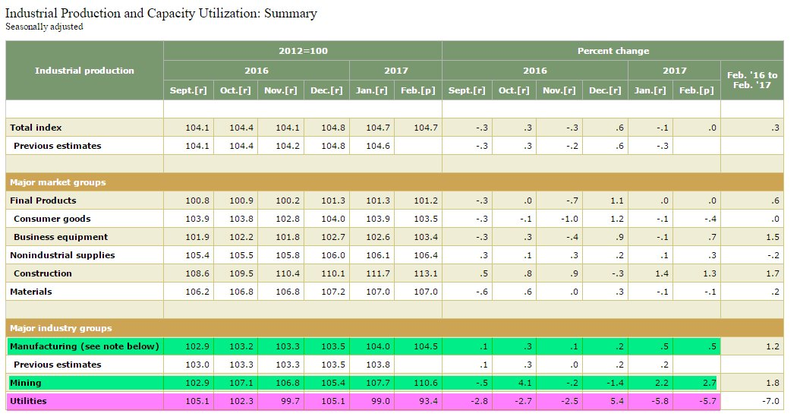 First, data from the Federal Reserve Board of Governors showed that industrial activity in America remained muted in February, as total production was unchanged from the prior month. 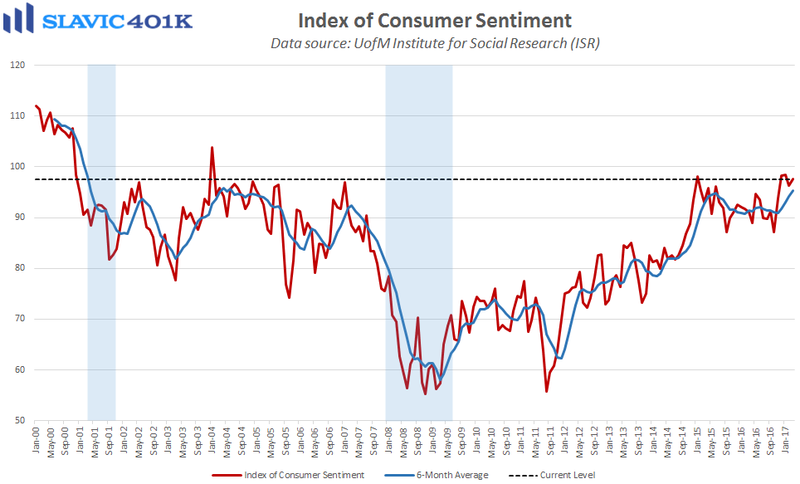 That was worse than the 0.2 percent gain economists had anticipated but still an improvement from January. Much of the weakness was due to a 5.7 percent decrease in utilities related to warmer temperatures across the U.S. (reduced heating demand). More importantly, overall U.S. industrial activity on a year-over-year basis rose by 0.31 percent in February. Although weak, it was still the third y/y gain in a row following fifteen straight months of annual declines. 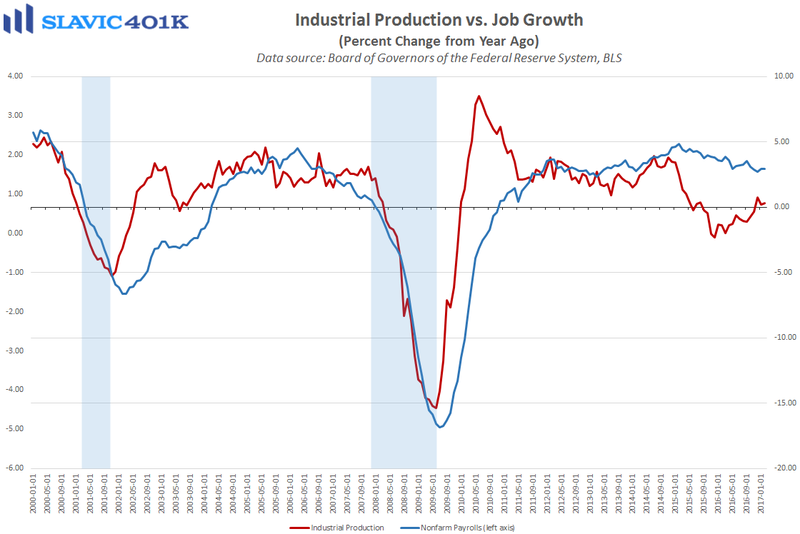 Further, manufacturing, which makes up roughly 75 percent of all industrial production, lifted by 0.5 percent in February, the fifth gain in the past six months and better than expected. 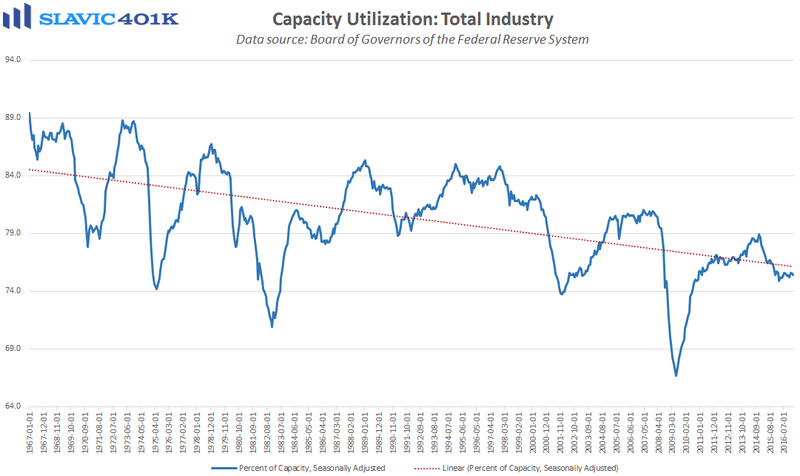 Capacity utilization, sometimes used as a leading indicator of inflation and potential output, slid to 75.4 percent last month, albeit from an upward-revised January print.